CloudFone Thrill Power Got A Score Of Over 16 Hours Work Battery Life! 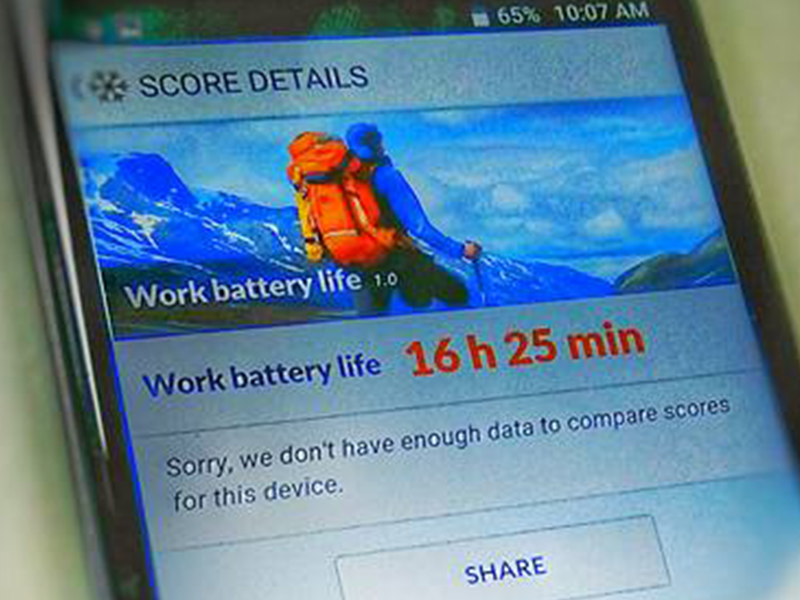 Home / cloudfone / mobile / news / CloudFone Thrill Power Got A Score Of Over 16 Hours Work Battery Life! Last night, CloudFone teased their latest upcoming handset - the Thrill Power. It's touted to be a sleek looking smartphone with 5 inch HD screen, 2.5D curved glass, and HUGE 5,000 mAh of battery capacity! To further excite us, we spotted their marketing team post a handset with 16 hours and 25 mins score at PCMark Work Battery Life test! that The score it registered suggest that the handset truly using 5,000 mAh of battery capacity as it resembles the score of other devices with that huge amount of battery capacity we tested in the past. Aside from that, that is the only first software build of the Thrill Power. It means that it could score even more on its retail software build. Let's hope for the best, but having even just over 16 hours of straight usage is a lot for a smartphone. For now that's everything we know, let's all stay tuned for the final specs of this handset. Rest is assured that we'll keep you guys posted.